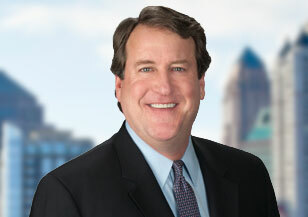 Graham Galloway leads Spencer Stuart’s global Healthcare Practice and is a member of the firm’s Board and CEO practices. He specializes in recruiting senior executives and board directors in the biopharmaceutical and pharmaceutical services industries. Graham has more than 25 years of industry and leadership consulting experience and advises a diverse group of clients, comprised of global corporations, growth companies and investor-backed enterprises. During his tenure as a leadership consultant, he has completed more than 700 executive search and consulting projects, including more than 200 chief executive officer and board assignments. Graham has managed numerous global client relationships and has extensive experience with international clients. He has completed assignments in a wide range of functions and has deep expertise in general management, commercial leadership, corporate development and technical leadership roles. Graham’s prior executive search experience includes 10 years at two global search firms, where he served as managing principal of the Atlanta office and managing partner of the global life sciences practice. Before joining the search profession, Graham was chief operating officer of CORDA Medical Care, a physician practice management company focused on cardiology, and chief operating officer of Atlanta Cardiology Group, a preeminent interventional cardiology group. He began his career as a healthcare consultant at Deloitte & Touche Management Consulting. Graham holds an M.B.A. from Harvard Business School and an M.S. in systems management from the University of Southern California. He earned a B.S. in engineering from the United States Military Academy at West Point. Graham played varsity lacrosse at West Point, and, upon graduation, served for several years as an attack helicopter pilot in the United States Army.